I really enjoyed this thoughtful article by Shaylyn Hamm on The Aesthetics of Unique Character Designs, in which she takes on the project of designing female characters for Team Fortress 2. 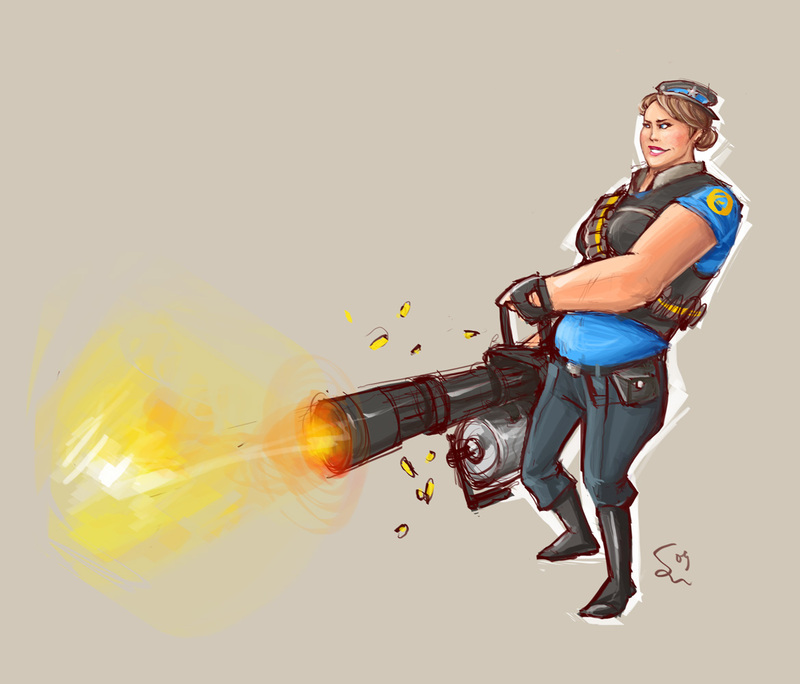 Sadly TF2 didn’t take advantage of the opportunity to design female characters as fun and iconic as their male characters, but Shaylyn fills in for them. Her article contains insightful gems as she analyzes the elements that make the male character designs strong, and applies them to female characters. All too often, as she points out, female characters in games are all cut from the same cloth, with only their hair and dress colors to tell them apart. This happens even in a game that delves deeper into individual character design, like Dragon Age 2, which at least has older women — although they sport the same improbably slim, buxom figures of a 20-year-old. In any case, Shaylyn proves that there is still a lot to be mined in female character design. And I would play the female medic in a second!